Owner operator, or arrive and drive, which one is right for you? The correct answer is crucial, and will take your career in somewhat different directions. An honest evaluation of your resources will lead to the best decision for you. If you hail from a racing family that has the experience to prepare a racecar, as well as provide professional trackside support, then your decision is fairly easy. For many aspiring drivers the best option is simply to rent a ride from a competent team. GMS can assist you in making the best decision for your driver and team. We have an extensive background in operating our own championship winning race programs as well as working with families who opt for a total arrive and drive program. Whether your goal is the Daytona 500, or the 24 Hours of Le Mans, GMS can provide you with everything you’ll need to test yourself. 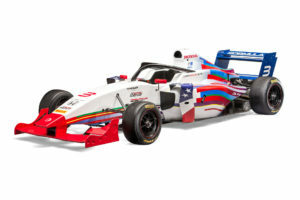 From quarter midgets and Legend cars, to Formula Fords and F3 cars, you can rest assured that an arrive and drive program from GMS will allow 100% focus on developing the driver. 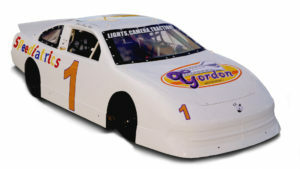 We are now booking off season test sessions in our own MiniCup racecars. 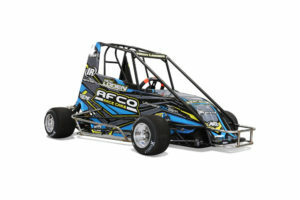 Our cars provide all the safety of a fully caged racecar, the simplicity of a race kart, and all the adjustability of a typical racer. If you’re not sure whether to own or rent, give us a call; we’re happy to help you make the decision.